There are two main types of bank accounts: savings and chequing accounts. Savings accounts are used to save money. Chequing accounts are used to pay money owed to other people or companies. Both accounts are offered by different types of financial institutions including banks, trust companies, and credit unions. Read this guide to find out more information. 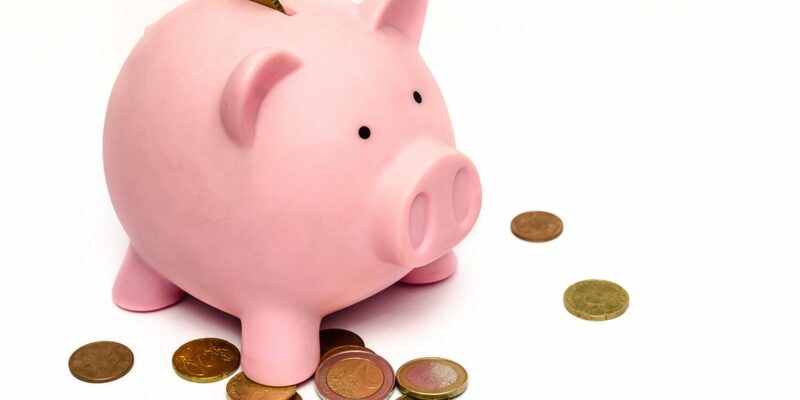 A savings account is used to save money over a long period of time. Savings accounts are meant to be used to achieve long-term goals without many transactions. Because they aren’t meant for everyday use, many savings accounts pay a higher rate of interest on money that’s deposited. They also offer fewer free transactions and charge higher transaction fees than many chequing accounts. There are many savings accounts in Canada that offer high interest rates without charging monthly fees or transaction fees. Consider interest rates, transaction fees, and ease of use when comparing savings accounts. Below are two links that compare savings accounts from different financial institutions. A chequing account is typically used for day-to-day transactions like paying bills and making purchases. Chequing account interest rates are lower than a savings account, but they allow more free transactions. When you open a chequing account, the bank or credit union will give you a cheque book to keep a record of your transactions. You write cheques to pay money owed to others. One example is using a cheque to pay rent. You must use the cheque book to record transactions (deposits, cheques, withdrawals). Also, you must ensure the balance in your account doesn’t go below $0, or an amount greater than $0, depending on the account. It’s becoming more common to use digital banking instead of a cheque book to keep track of your chequing account. Ask your financial institution for more information about managing bank accounts through the internet. Below is a link that compares chequing accounts from different banks. A foreign passport and an employee card with a photograph are also acceptable pieces of secondary identification. You can find a full list of the kinds of identification that a bank can accept here. an individual of good standing in the community where the bank is located. Opening a bank account is easy but there can be many different bank accounts to choose from. For example, more than 20 banks in Canada offer over 100 different consumer bank account packages. You can compare accounts easily using this simple, free, online tool from the Financial Consumer Agency of Canada. Banks and credit unions allow you to obtain a bank (debit) card which provides access to your savings and chequing accounts. You can use a debit card to purchase items and do the following at ATMs: deposit cheques, deposit cash, withdraw cash. This can save you time and money by not having to physically go into the bank. It is usually good to have both a chequing and savings account. When you setup your bank account(s), ask the bank to also setup electronic banking for you. An example of a recurring deposit is a paycheque from your employer. You can arrange to have your pay cheque deposited automatically into your preferred bank account. Banks call this service a direct deposit. Direct deposits are convenient because you do not have to visit a bank or ATM to deposit your paycheque. Examples of recurring withdrawals are monthly payments for bills such as mortgage and utilities. You can arrange to have money automatically withdrawn from your account in order to pay amounts owed. This is known as a direct withdrawal. Many companies also allow you to pay bills through electronic banking. Some newcomers to Canada regularly send money to loved ones who live in other countries. Canadian banks can make these transfers, called remittances, to family members or friends abroad in a number of different currencies. Typically, the person you are sending money to will need to have a bank account. If they do not have an account, they may still be able to pick up the money at a bank. The person you are sending money to will need proper identification. Be aware that banks charge a fee for remittance payments. Banks clearly disclose these fees on their websites and in their branches. You can find links to the websites of CBA member banks here. If you want to send money internationally to someone who does not have a bank account, you have another option. There are money transfer services such as Western Union and MoneyGram that can send money for you. These companies transfer money to thousands of agents around the world. Money transfer services are often located in shops and other retail outlets, such as malls. Banks also offer different types of savings accounts to help you save money. Here is a link to an Account Selector Tool you can use to find the account that suits your needs best. Many Canadians who want to start their own businesses look to banks for financial advice, services, and products. The majority of bank business customers are small business owners. Banks work hard to meet the needs of this large and diverse group. The Basic Banking section of the Canadian Bankers Association website. Type of Bank Accounts in Canada – more information on the difference between savings and chequing accounts. Banking for newcomers to Canada – Basic information to help get you started with Banking in Canada. BMO New to Canada — For those planning to come to Canada soon, or who have recently arrived in Canada, this page helps ensure the financial transition goes smoothly. CIBC New to Canada — Information on living, working and studying in Canada, as well as getting identification. HSBC New to Canada — A checklist for newcomers, advice on getting started in Canada, a Canadian immigration and banking glossary, and information on accounts for newcomers. ICICI — Information about a Hello Canada account. National Bank of Canada Newcomers to Canada – Information about working, studying and starting a business in Canada along with a checklist. RBC Newcomers to Canada — Information about life in Canada, buying a home, employment and financial services that are tailored to newcomers’ needs. Scotiabank Startright Program for New Canadians — A banking program for new Canadians. TD Canada Trust New to Canada — A summary of TD Canada Trust initiatives to help newcomers better understand banking in Canada.